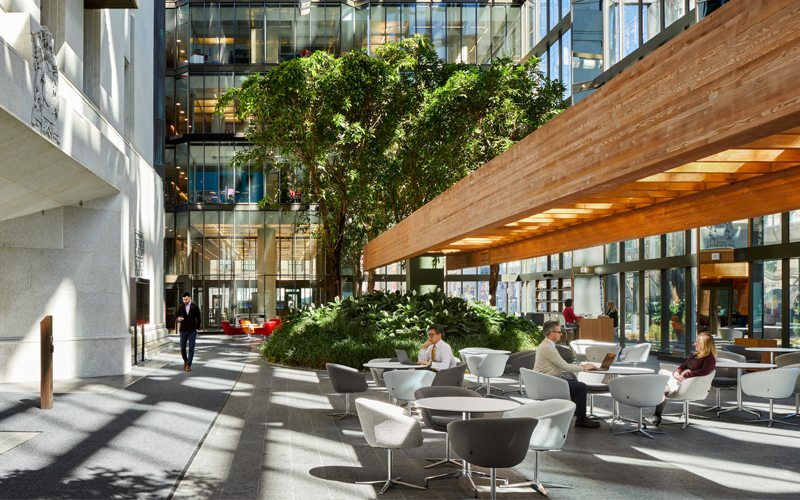 For those who spend a lot of time downtown — and anyone who seeks out places to lounge among lush foliage, even in the depths of winter — news that the 12,000-square-foot atrium in the Bank of Canada would no longer be open to the public was a blow. The $460-million renovation that wrapped up earlier this year replaced mechanical systems, improved efficiency, created new conference spaces — and added security gates at the Sparks Street entrance. But maybe it was only a matter of time: as HQ for the central bank of a G7 country, having a publicly accessible (and welcoming) garden was very, well, pre-9/11. From the atrium — whose foliage was chosen to represent the landscape of Canada — one can gaze upon the 1930s-era building and appreciate its stunning sculptural staircase. On either side are the two 12-storey towers, designed by Canadian “starchitect” Arthur Erickson and added in 1979, whose glass walls reveal vastly different layouts on each floor. (Read more about Erickson’s vision for the space, and what happened to some of the pieces he designed for the Bank of Canada, in this Maclean’s article.) Staff were given few parameters when it came to layout, and employees on each floor played a kind of Tetris game to figure out what plan would be best for their needs. The main goal was to keep air, light, and foot traffic flowing freely. Indeed, movement is key to the new Bank of Canada. Collaboration isn’t happening just in the atrium, as every floor offers open-plan spaces equipped with funky furniture and high-tech offerings that encourage staff to get out of their cubicles. 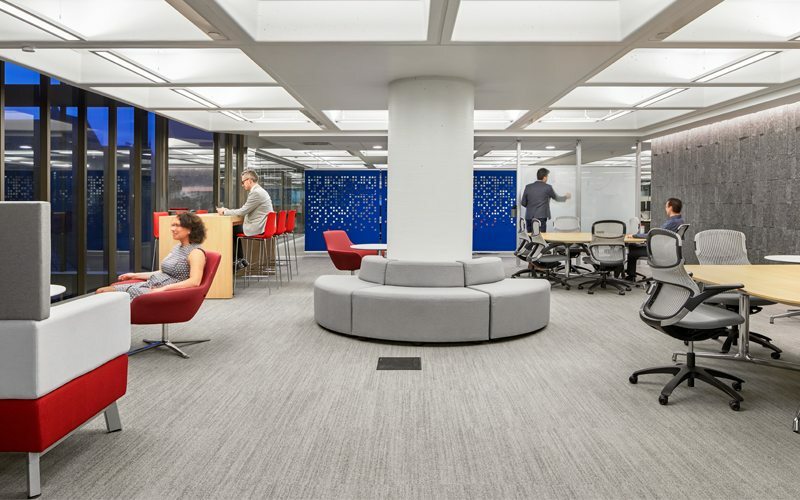 A lot of research went into these spaces (Google and Microsoft were called), and as a result, staff are no longer anchored to their desks. Every desk is a sit-stand desk (apparently employees compete with one another to see who can stand the longest). Governor Stephen Poloz chose the desk used by the first governor of the Bank of Canada, Graham Towers. And when it came to choosing chairs, employees were invited to various expos, trying out the seats and giving feedback to the decision-makers. “This is pretty innovative, in my mind, for a central bank,” says Bank of Canada COO Filipe Dinis.